Q. What are future plans for Watson? A. Sun Microsystems has made an agreement with Karelia Software for the technology in Watson. See the story here. 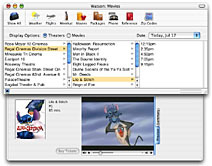 As part of the transition, Karelia has had to "end-of-life" the Mac version of Watson as of October 5, 2004. After this date, Karelia is unable to fully support and maintain Watson for Mac users. As of this writing, Sun has created, and demonstrated publicly (at the 2004 Java One expo), a replacement for the Mac version of Watson. However, it has not been released yet. Watson users wishing to contact Sun to inquire about the status of the replacement to Watson can send an email to alameda@sun.com. Some Web sites that Watson connects to change frequently, so some modules (see below) tend to break frequently. This means that with Watson support no longer possible, some tools in Watson will no longer function. Many other tools, connecting to less volatile Web sites, may work for a long time after that date. Q. I'm an existing Watson user, and I'm concerned. A. We have worked to make sure that existing Watson users are supported as long as possible during this transition to a replacment from Sun Microsystems. Some Watson users have been using the product for over two years without being forced to pay for an upgrade. People who have recently purchased Watson have still gotten several months of full support and functionality (and limited support and functionality indefinitely thereafter). We think that Watson users will be getting their money's worth. We have also discussed possible migration paths with Sun for existing Watson users, but nobody can promise anything at this time. We at Karelia are also working on a new product, unrelated to Watson, that we think Watson and Mac OS X users will enjoy. We do not have any details to offer yet, but it is planned that when this new software is released, we will have a special offer for registered Watson users as appreciation for their patronage. Q. Why did Karelia make this deal with Sun? A. Having a large company create and distribute a desktop application like Watson to access Web services was a great fit for the vision of Watson. Not only can their reincarnation of Watson function on multiple platforms, they will have the resources and clout to bring more and better content to the desktop. And of course, we've worked hard to ensure that the new program will function splendidly on Macs! Q. Which tools are most likely to break after its end-of-life date? A. Based on past experience with ever-changing Web sites, the tools most likely to break soon are eBay Watcher, TV Listings, and Phone Listings. (Also Yahoo, which is already being phased out due to lack of interest and use.) Other tools that will likely stop functioning properly in the near- to mid- term are SiteSearch (individual web sites), Weather, Movies, and Package Tracker (individual carriers). Tools that may eventually break, but indeed may function for a long time (because their Web site is fairly stable or we are using XML Web Services): Epicurious, PriceGrabber, Google Search, Amazon.com, VersionTracker, Reference, Exchange Rates, Translation, Meerkat News, RecipeSource, Zip codes. Q. Will you continue to support aspects of Watson that do not have to do with updates, after its end-of-life date? A. Yes! Karelia cannot issue updates to tools or new versions of the application. However, we will be happy to provide Watson users with other forms of support (diagnosing crashes and conflicts, helping with lost registration codes, and so forth). Q. How does Watson work? A. Watson is essentially a Web Browser, much like Internet Explorer or OmniWeb. But instead of being generic -- capable of viewing any Web page, it's targetted to some of the most useful Web sites. Think of it as a Web Browser with a predefined set of bookmarks. But it goes much further than just what a Web browser can do, since tools can work in the background to keep your data up-to-date. Q. What is the relationship between Watson and Sherlock 3? A. When Watson -- openly inspired by Sherlock for the concept of bypassing the Web browser -- was first released in 2001, it was envisioned as Sherlock's "companion" application, focusing on Web "services" rather than being a "search" tool like Sherlock. 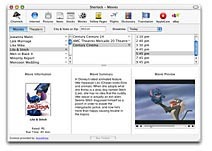 Sherlock 3, first released with Apple's 10.2 "Jaguar" release, has now changed its focus to Web services. It bears a great resemblance to Watson -- almost its entire capability (image search, news, stocks, movies, phone listings, eBay auctions, reference, and translation) is found in Watson's tool set, and many individual tools behave remarkably like their Watson counterparts. Many users have contacted Karelia, congratulating us on Apple "buying out" Watson. However, Karelia Software was not involved in any aspect of Sherlock 3, other than serving as ... shall we say ... inspiration. While Apple recently recognized Watson as 2002's "Most Innovative Mac OS X Product" -- and we appreciate the recognition -- the company didn't hesitate to make use of Watson's specific innovations for its next OS release, without any concessions to Karelia. But we're not that upset anymore. Really. Imitation is the sincerest form of flattery. Unfortunately for Apple, Sherlock 3 is not quite up to par with Watson in terms of speed or capability, so we're not that worried. With the addition of the new Google searching Tool for Watson — much more useful than the web-searching feature that is part of Sherlock 3 — we are confident that Watson will continue to be the market leader in Web services, in spite of Sherlock 3. Technical readers may be interested in a comparison of Watson's and Sherlock's plug-in architecture on this page.